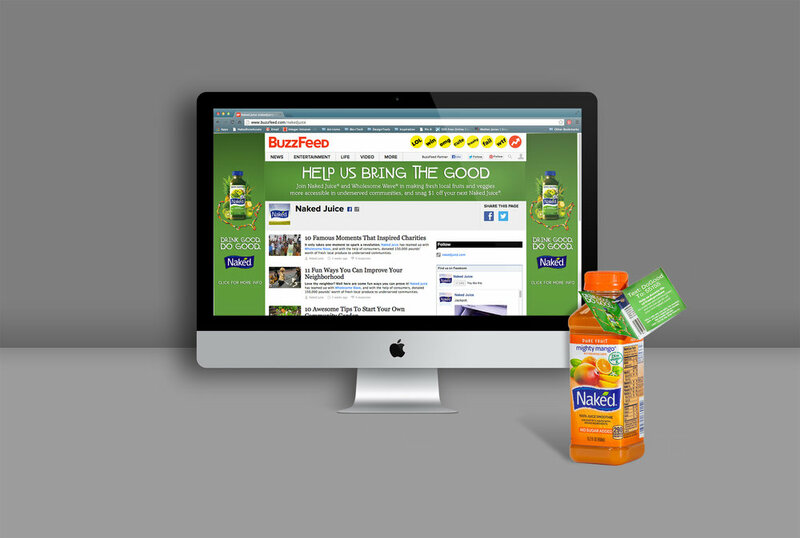 In 2013, Naked Juice was in a squeeze. With public perception taking a turn for the worse, the brand needed to stand for more than just great ingredients. By rallying consumers nationwide, we aimed to help the brand make a difference in communities known as Food Deserts where access to fresh, affordable food is scarce. Drink Good. Do Good. rolled out on a national level. A three-part documentary series educated viewers on the importance of accessibility to healthy food, while grassroots events brought the message to a local level. 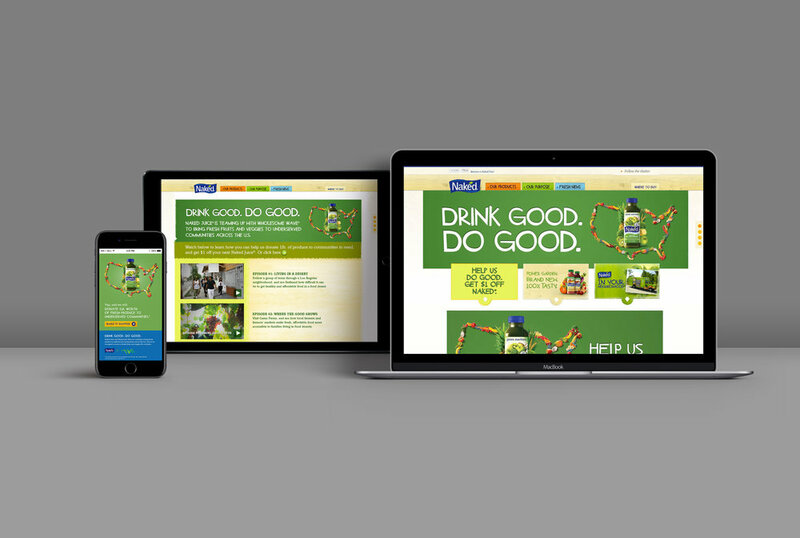 Social media rallied consumers to join the cause through a mobile donation program. With the click of a finger, Naked Juice drinkers everywhere began sending pound after pound of produce to Food Deserts. Within three days, the campaign reached its goal of donating more than 150,000 lbs. of produce through charity Wholesome Wave and made a lasting impact on neighborhoods nationwide. The program idea has proven to be so successful that it is currently in it's 5th year.